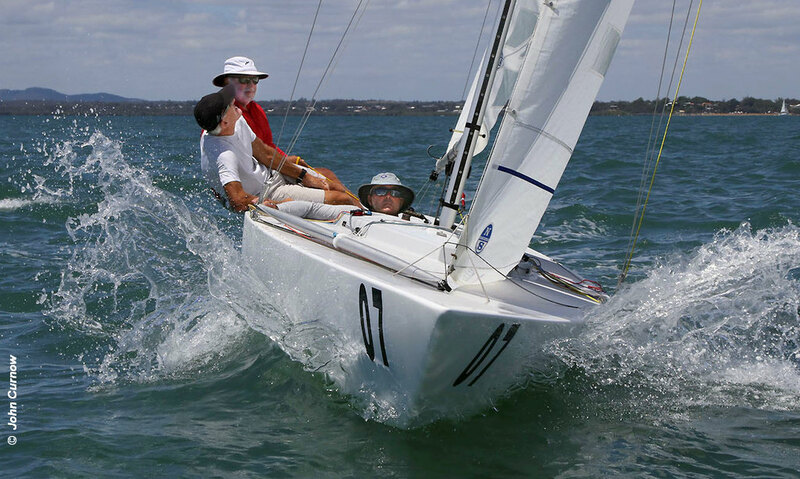 Havoc of Iain Murray, Colin Beashel and Richie Allanson is the 2019 Etchells Australian Champion. Overnight leader, Gen XY of Matthew Chew, Brian Donovan, Ben Vercoe and Mitchell Kennedy were taken out at the start of the final race (R7) for being On Course Side. After The Log, with Mark Bradford, Vaughan Prentice, Darren Hutchinson, and Mitch Miller on board, had led at the first weather mark rounding, it was Havoc with Colin Beashel, who was doing main, with Richie Allanson on the bow and Iain Murray as Skipper who took the lead at the second rounding. Winner of the Corinthian Division was Animal House of Dirk Van Der Struyf, Ben O’Brien and James Hannah who had not sailed together before. The finished in 8th spot overall.